Considered the OpenTable of after dark, Tablelist provides members with instant access to the best nightclub venues in New York, Boston, Las Vegas, and beyond by letting them book VIP tables, guest list and tickets, any time, and from any device. With Tablelist, members can select their favorite venues, pick a table location, customize their bottles and chasers, split the tab, skip the line, avoid the cover, and get straight to celebrating – all while racking up reward points towards future nights. The mission of Tablelist is to democratize the nightlife industry, a space that has historically been shrouded in mystery, ridden with stigmas, and stubborn to change. 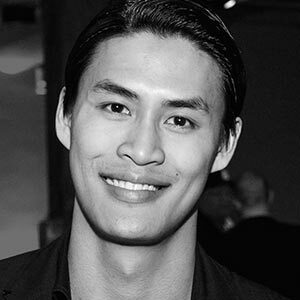 Julian Jung is the founder and CEO of Tablelist. Prior to founding Tablelist, Julian was a real estate broker specializing in high end real estate sales/rentals and investment property. While an undergrad at Northeastern University, Julian executed over $500K in rental transactions and sold over $30M in investment property. Julian is also an investor in Boston based alcohol delivery company Drizly Inc, and Cambridge based restaurant, Alden and Harlow, which was named Boston Best Restaurant 2014 by Boston Magazine.